Hey, what about Bannon and the NSC? It’s almost impossible to keep up with all the stories that pass through the light of intense publicity only to disappear into the darkness … as it relates to Donald John Trump’s administration. 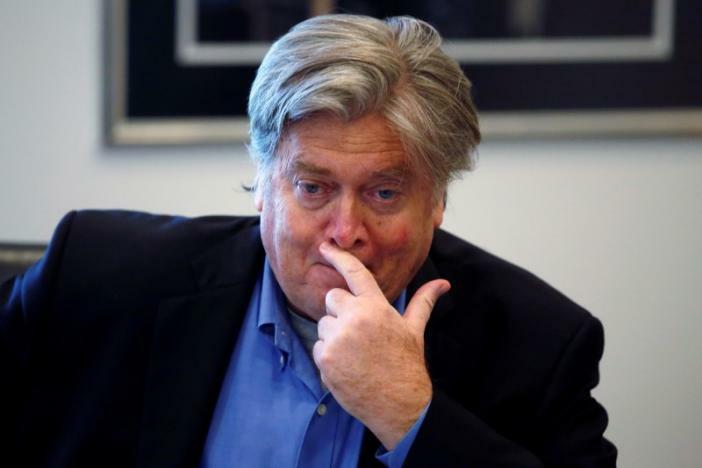 Remember the story about Steve Bannon, the former Breitbart.com executive, alleged white nationalist, political adviser becoming a member of the principals committee on the National Security Council? Bannon is still on the NSC. He’s still getting the regular briefings, sitting in a chair that should be filled by the Joint Chiefs of Staff chairman and the director of national intelligence. Trump demoted those two military and intelligence leaders in favor of partisan political animals such as Bannon. He’s a political hack who serves on one of the most ostensibly non-political bodies in our massive federal government. Why is this guy still there? Why is the new national security adviser, Army Lt. Gen. H.R. McMaster sitting or standing still for this travesty? Bannon doesn’t belong on the principals committee. He now serves as chief political adviser for the president. He fulfills an entirely different role, vastly separate from anything that the National Security Council does. The NSC’s role is to provide the president with keen, sharp and non-political analysis of national security threats. The national security adviser essentially is the chief administrative official of the NSC. From all that I’ve read and heard about Lt. Gen. McMaster, he appears to be a scholar with a superb military mind. Bannon status as political hack in chief ought to disqualify him from such his posting as a member of the principals committee. Yet this story stays hidden in the background. What kind of advice does Bannon give the president when, say, a Middle East nation moves on another one? What kind of advice does he offer when North Korea lobs a missile into Seoul, South Korea? Or when Hamas starts firing ordnance from Gaza into neighborhoods in southern Israel? Bannon offers no national security credibility. There he is, though. He’s perched among the other “principals” offering advice to the president of the United States. This guy frightens the crap out of me. Previous Post‘Yes’ to statewide cellphone-driving banNext Post‘Plague’ in inappropriate student-teacher relationships?